Warm, sophisticated and incredibly knowledgeable are the words Martha's clients use most frequently to describe her. Says one satisfied seller "Martha seemed to instinctively understand what we were going through selling our home. She anticipated our concerns and anxieties and effectively helped us work through them. All the while we were amazed at the depth of her knowledge and commitment to us. She worked harder than any Realtor we have ever used with the happy result that our house successfully sold - even in a terrible market." Martha Perry is a true advocate for her clients in all aspects of a real estate deal, from the emotional undertones to the major financial investment involved. Always putting her clients' best interests first, she provides the full support, strategic thinking and seasoned expertise that helps sellers and buyers alike reach their goals. Martha's sharp instincts, proactive approach and expert ability to assess each buyer's and seller's needs have earned her considerable success, as well as many loyal clients in her nearly two decades selling real estate. Further fueling her effectiveness as a top producer is her professionalism and business acumen honed over many years in corporate America, and her internet savvy that allows her to maximize her reach and resources. Based in the New Canaan office yet specializing in broad range of communities within Fairfield County from New Canaan and Darien to Westport, Stamford and Greenwich as well as the South Florida markets of Boca Raton, Delray, Palm Beach and Vero Beach and the second home market of Nantucket Island, Martha truly provides unsurpassed service, and possesses unparalleled market knowledge. 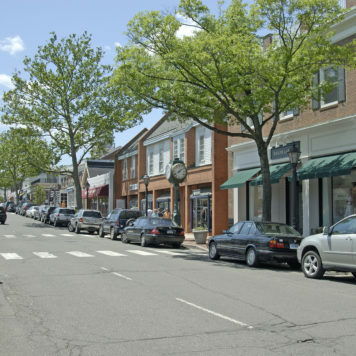 As author of the several important market reports including the quarterly Sotheby's Connecticut Real Estate Report, which provide data and analysis on the broader real estate market, and a weekly in-depth report on the town of New Canaan Martha has a distinct edge in determining how to navigate the market to successfully meet each client's individual needs. Born in southern Illinois and raised in South Florida, Martha graduated from Rollins College with honors then received her MBA from the London Business School. After an early career in Advertising Account Management, she ran her own market research firm representing such prominent clients as Kraft, McGraw Hill and American Express. In 1990, she moved with her family to Hong Kong, where Martha applied her creative yet analytical mind as co-founder and managing director of HK Homefront, a Hong Kong-basedreal estate firm that she grew to staff over 30 professionals, and ultimately sold to the Prudential group as their base of Asian operations. Upon returning to the States 10 years ago, she applied her wealth of international and local real estate experience as well as sophisticated business management skills in the Connecticut communities she knows and loves. Living and working overseas, and being the parent of a child with special needs, has made Martha uniquely well qualified to work with families who are relocating or have special family situations. 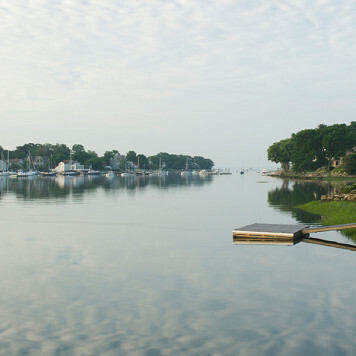 She currently resides in New Canaan with her husband.